Indrajatra festival remembering of Lord Indra, is celebrated on older part of Kathmandu with chariot pulling of Lord Ganesh, Goddess Kumari and Lord Bhairav. 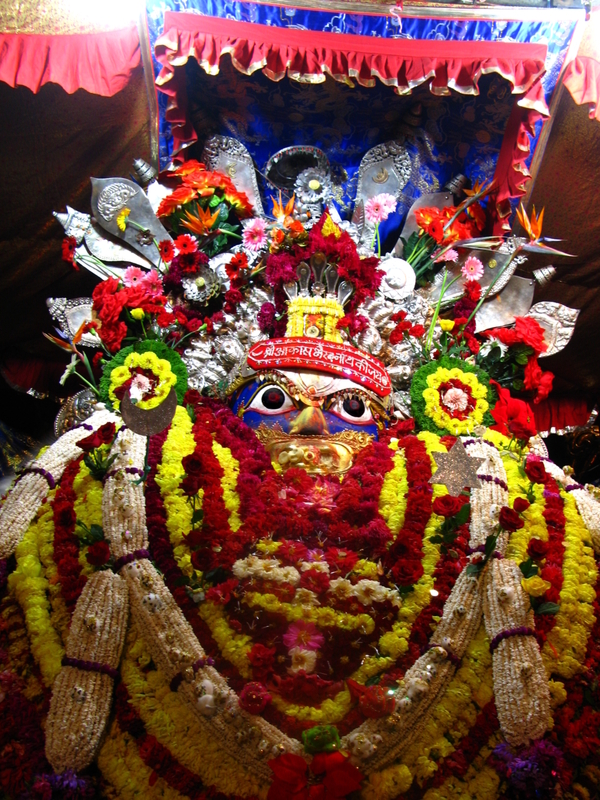 This Akash Bhairav is displayed in Indrachowk almost covered by multicolored garlands as a part of the same festival. This photo was taken around 7 pm at Indrachowk with low ISO, no flash, and exposure of 1/4 seconds.